Every Lunch Matters provides food vouchers to hungry students in LBUSD. Each school site, when chosen, will receive vouchers that will be given to a student who is at the limit of their negative balance allowance. Studies show you can’t learn on an empty stomach, so let’s help Long Beach youth succeed. Be an Appetite Angel and donate today! 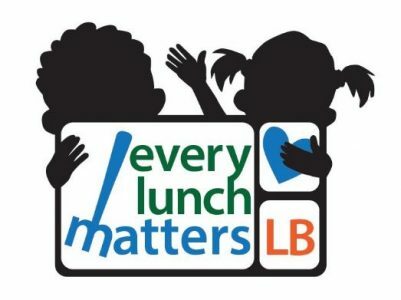 Every Lunch Matters was founded when one mom realized students were going hungry in LBUSD. The policy of the district is to restrict students who do not have money or credit to a milk and a piece of fruit. The rest of the tray goes into the trash. She couldn’t imagine her growing 5 year old having to sustain himself (and focus in class) on such a small amount of food each day. In an attempt to contact the district and make a donation to eliminate some negative balances for needy students, she realized it wouldn’t be easy. She had to identify a school, meet with the principal, decide which students would receive the donations, etc… She was determined to make it EASY. Easy for busy parents like herself to help hungry kids who are at school and want to learn and want to eat. To be clear, this fund is NOT about changing district policy, NOT about what types of foods are served to our students and NOT about trying to conquer the issue of food waste in schools. There are other platforms for those issues. This fund simply feeds kids that would otherwise go hungry. Thank you for your interest and support. Your donation can be made to your school of choice. 11 schools in Long Beach are “Provision 2” school sites and are already fed for free, so those schools are omitted from the list of schools to choose from. If your school of choice has received enough donations to satisfy the needs of the hungry students at that particular site for a month, your donation will be redirected to the “most needy” category. 100% of your tax deductible donation goes to food vouchers. Donations that do not specify a school site will automatically fall into the “most needy” category. We are currently only providing vouchers to K-8 and Middle Schools, but look forward to working out the logistics at the High School levels to serve every hungry student in LBUSD.